Safes come in handy for many different reasons. They have been manufactured, and in use, for centuries (an extensive history almost as storied as padlocks). It is very easy to see the reason why people are drawn to purchasing safes, be they big or small. Security is an important aspect of everyone’s lives because there is most likely something that you prize and want to keep safe (see what I did there?). At times basic security measures might be enough to keep your belongings secure, but sometimes you will need to implement something that can be considered a step above the rest and this is where safes come in. 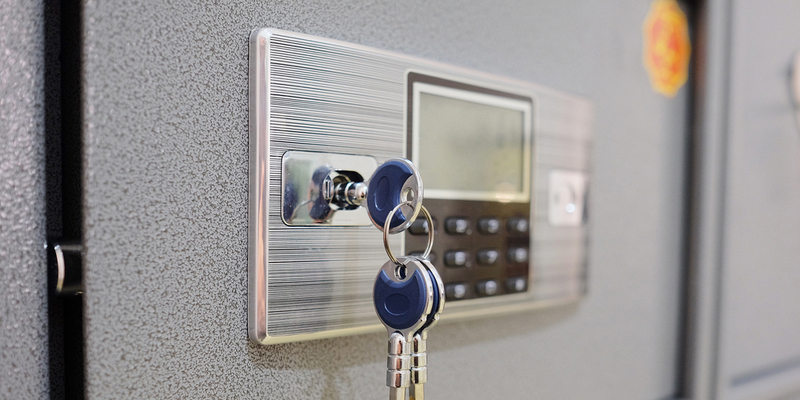 One of the prime reasons why people need a locksmith for safes is simply because they lose the keys to their safe or forget the combination required to open their safe. A safe lockout can be very similar to a home lockout or a car lockout in this regard. Simply because it is the person that is using the device that forgets the means to open it. However, a safe lockout can be much more complicated than a house lockout or a car lockout. I say this because safes are usually safeguarding extremely expensive valuables. This is important to be aware of because safes usually have backup measures in place meant to safeguard its contents in the event that someone tries to stage a forcible entry. It is for this reason that locksmiths to open safes exist. They are trained to bypass any such auxiliary measures and gain access to your safe without damaging or harming its contents. A locksmith for safes come in handy in these situations because they help prevent any loss to important data, heirlooms or priceless valuables. It is important to always remember that you should try and contact your local locksmith before attempting a DIY ‘trick’ that guarantees you access to your locked safe. Like I said up above, locksmiths for safes exist for a reason. Keep in mind that in some cases, this situation can still come about through no fault of your own. For instance, if you happen to inherit a safe, but no one left you a key or a combination code, then will require the assistance of a locksmith for safes. The locksmith will, of course, have to verify that the safe is yours before they are able to make a move to open it. A locksmith for safes does not only deal with traditional safes. They also spend a great deal of time working with electronic safes and this particular point is meant to focus on electronic safes. Sometimes, you will need a locksmith to open your safe because the internal wiring has been damaged. This damage usually occurs within the wires that relay a signal from your keypad to your locking bolts. Essentially, if the signal is not being carried through, it will be nearly impossible to operate your safe. However, it is very easy to jump the gun when it comes to this. If you realize that your keypad is not turning your bolts, it does not always mean that the wiring is frayed or damaged. It could simply mean that something in the keypad is disconnected or that the power source (often batteries), is depleted. 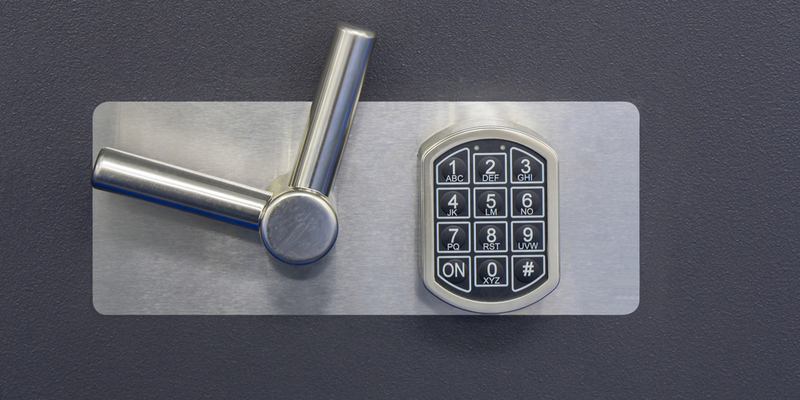 It is important to troubleshoot and diagnose the problem before you reach out to a locksmith for safes. This does not occur often, but it normally happens to older combination safes and to safes that have not been properly maintained (see above). However, there is always the possibility that your lock is not opening because the corresponding combination has shifted ever so slightly. There are a few things that you can try to get your safe opened. If you are able to get your safe open you will still need to call a locksmith for safes so that you can have the safe serviced. If you have the right combination and it is not working, then you need to try altering the numbers a little bit to see if the combination has shifted. The best way to do this is to move your combination dial in increments. Essentially, subtract one from every number in your combination code to see if it works. If it doesn’t you will need to try again until you have done this 5 times. Once you attempt this 5 times you should stop and then begin adding one to each number (of your original combination code), replicating the same process. This might help open your safe in the meantime but it will not solve the issue of having a poorly maintained safe. I will admit that I laid a heavy amount of the blame on the people who used safes in the first section of this post. If you felt like I was personally attacking you I’m sorry. On occasion, the people who frequently use safes are not to blame for being locked out. There are times when you will have your key/combination code, but your safe still will not open. This is because something isn’t right with the safe bolts. As a locksmith for safes would put it, the safe bolts might be jammed. This is another popular reason why people need a locksmith for safes. The locking bolts in a safe can jam for several different reasons. It could happen because the bolts are misaligned, or it could happen because the safe has not been properly maintained over time (maybe it is time to start pointing fingers again). The bolts can also misalign if there is an excessive force applied to the safe. At times, this can even happen when your safe is delivered to you, all because of the manner in which it was handled. It is very easy to figure out that your safe bolts are jammed. The first clue will be that the locking mechanism will not fully rotate for the safe doors to open. If you notice this, you should call a locksmith for safes as soon as possible, in order to speedily rectify the problem. As weird as it may sound, you might need the help of a locksmith to open a safe even when the safe functioned the way it was intended. In this context, I mean that it was probably able to stand up to the onslaught of burglars. Whenever a safe is battered with excessive force, there is always the risk that the locking mechanism will be damaged. If your safe is able to resist any unauthorized entry, you should be glad but you will also be aware that it might be damaged. If this occurs, you will very likely not be able to unlock your safe even if you have the correct combination code. Entering it multiple times will make absolutely no difference. Also, you might be tempted to kick the safe to pry or dislodge the damaged locking mechanism so that you can get the safe opened. I would advise you not to do this because it could, very likely, lead to more damage and this will increase the final cost of getting it opened and repairing it. In this instance, you will have to call a locksmith for safes to help you out. I actively advocate for very few things, because I want to give my full attention to the things I really care about. One of these things is maintenance. Maintenance is extremely important when you are dealing with mechanical components. However, many people have the uniquely terrible habit of leaving their maintenance up until the last minute, and the last minute is usually when the very thing they are depending on decides that enough is enough. This is a common occurrence in lockouts because most homeowners do not maintain their locks. This is one of the leading causes for calling a locksmith for safes. The same concept applies to safes. If you do not properly maintain your safe, there is a very high possibility that it will not continue to function the way it is supposed to. This increases the risk of a safe lockout occurring and increases the need for a locksmith for safes. 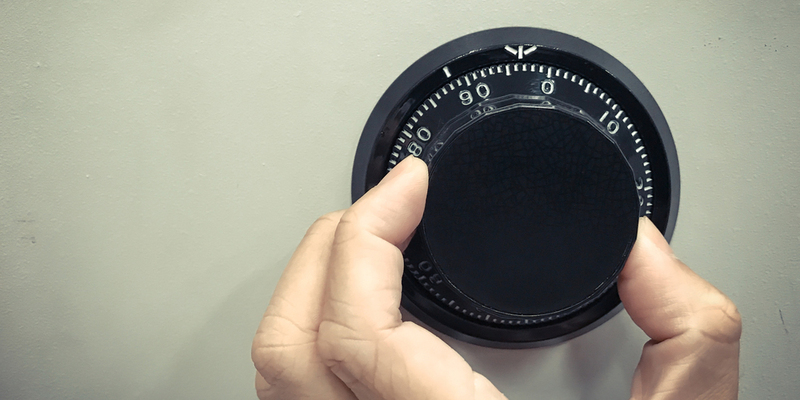 Furthermore, if you cultivate the habit of servicing your safe on a regular basis, a few of the problems up above will be taken care of, simply because you have the chance to ‘audit’ your safe. Proper maintenance allows you to regularly lubricate the components of your safe and ensure that they will work without a hitch. Many people do not know how important this is when it comes to safes so hopefully, this enlightens you. In some cases, you might not be able to open your safe because lockout mode or time delay is engaged. Lockout mode is a safety feature that automatically engages after the wrong combination code has been entered several times. 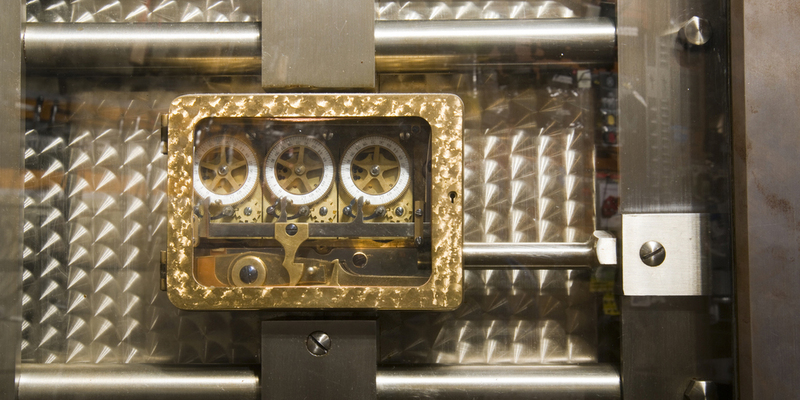 Due to the fact that all safes are different, the threshold for the number of incorrect combinations varies. For some safes, lockout mode could engage after one try, whereas others will engage after 4 tries. There is no universal lockout mode setting, but many people usually set it within the range of 3 or 5 tries. It is important to be aware of the fact that it is mostly electronic safes that employ these features. There are slight variations between these types of safes, similar to the way electronic locks vary from traditional door locks. The time delay feature is similar to lockout mode because it helps restrict the access that people have to a particular safe. Essentially, a time delay is put in place to allow the safe to be opened only at certain times, and only for a certain number of times. These security features come in handy in a pinch and will help keep your belongings a bit more secure. However, there are times where a locksmith for safes will have to be called because your own security measures are the one thing keeping you out of your safe. This is not a common occurrence but it happens, and a locksmith should be able to help you rectify the situation. Also, keep in mind that it might not always be the owner of the safe who is trying to get in, which increases the chances of lockout mode or time delay being a problem. One such instance can arise if police need access to a safe (with the applicable warrant) but they do not have the proper combination or key for it. In these situations, a locksmith for safes will be required to help gain access to the safe. These security features cannot be found on all types of electronic safes, and it is usually a sign that the manufacturer truly had security in mind. There are many safe companies on the market that you can buy a safe from, but make sure that the safe company has your security as their top priority. A locksmith for safes will always there to help you, even when you least expect it, because the truth is, no one can really plan to be locked out of their safe. Sometimes things happen, and they happen at the most inopportune times. However, even though you cannot plan for these situations, you can actively try to minimize the possibility of them happening. This is usually done by practicing proper maintenance, ensuring that you do not exert unnecessary physical pressure on your safe and regularly assessing the state of your safe. A locksmith to open safes will always be there when you need them, but hopefully, if you are aware of the things that lead to safe lockouts, you might be able to avoid them. Finally, for maximum security, you can always pair your safe with a lockbox so that you are not placing all your eggs in one basket.